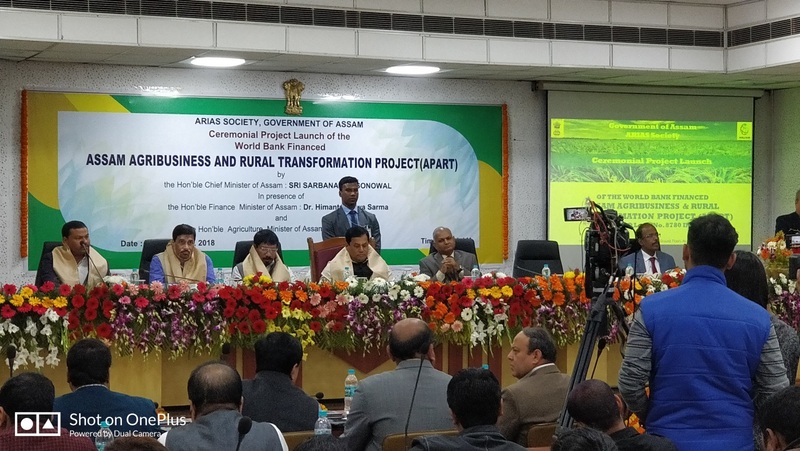 The World Bank, together with the Government of Assam, launched the Assam Agribusiness and Rural Transformation (APART) project. 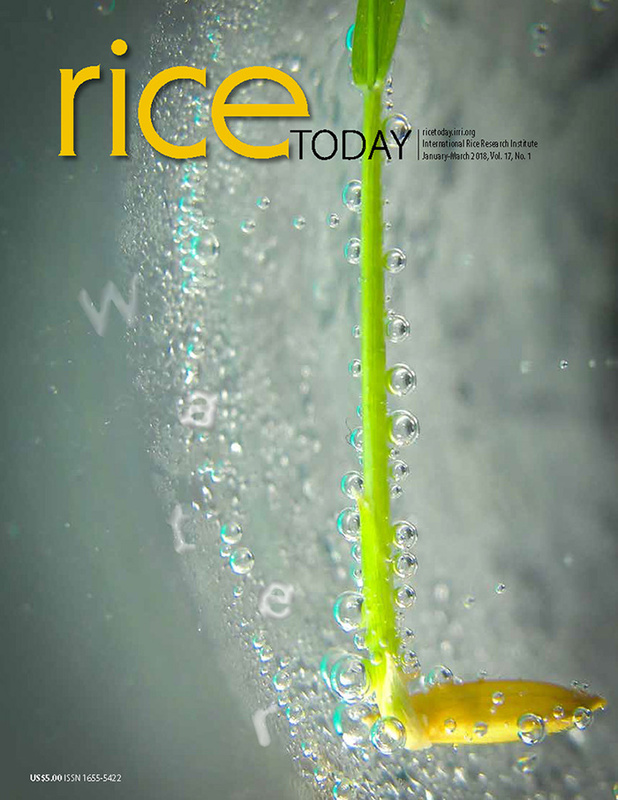 It is a seven-year program that brings together technical knowledge of eight state departments and six renowned international organizations including the International Rice Research Institute (IRRI). More than 500,000 farming households will directly benefit from the project, particularly youth and women-led enterprises, encouraging their participation in the decision-making process of farmer producer organizations. 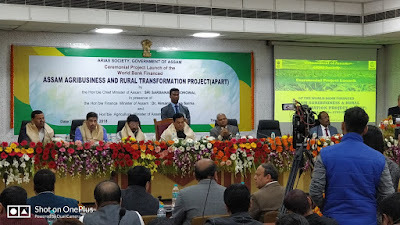 The Assam Rural Infrastructure and Agricultural Services Society (ARIASS) will implement the project that is expected to supplement the state government’s initiatives, particularly the Chief Minister's program Samagra Gramya Unnayan Yojna (CMSGUY) which is aimed at doubling farmers’ income in Assam by 2022. APART aims to support the government in facilitating agri-business investments, which will increase agricultural productivity and market access, and enable smallholder farmers and agro-entrepreneurs to produce crops resilient to recurrent floods or droughts throughout the region. “We are assured that APART will open opportunities to uplift the agricultural sector in Assam and inspire farmers to shift from conventional systems to adopt best modern technologies for increasing crop production and enhancing livelihoods of poor farmers. Market-driven agricultural production systems will attract private sector investment and create a new horizon for generating employment, development of entrepreneurship, and women empowerment in the state”. APART was launched by the Honourable Chief Minister of Assam, Shri Sarbananda Sonowal on 10 January 2018 in Assam, India. Guests present at the launch were Shri Atul Bora, Minister for Agriculture, Veterinary and Irrigation, Government of Assam; Shri. V.K. Pipersenia, Chief Secretary, Government of Assam; Mr. Mani Vandan Pathi, World Bank Task Team Leader on APART; and Shri K.K. Mittal, Additional Chief Secretary and Agriculture Production Commissioner. Representing International Rice Research Institute (IRRI) were Mr. T.C. Dhoundiyal and Dr. Ashish Kumar Srivastava.